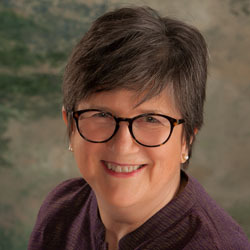 Screening for a Therapist - Portland Jungian Analyst - Carol Walnum, MA, MBA, LPC. People differ of course and therapists do too. In searching for a therapist, you are seeking the absolute best match between you and the licensed therapist. To help you find a therapist, ask friends who have had a successful therapy for a referral. Your doctor can give you referrals. Sometimes other allied healthcare workers can also refer. Trust your first reactions. You can ask therapists questions: how do they approach psychotherapy, what are their areas of expertise, training, or experience before you make your appointment. Make sure they are licensed. Another option is to think about is individual, or couples, or family therapy. Sometimes a group is more helpful, or it can be less expensive. Sometimes a free group such as AA, NA, Overeaters Anonymous, or another such group can help you move toward individual therapy if you are not ready now. Check your church, temple, medical clinic, or community center for further offerings. Jungian Analysis is a long-established form of psychotherapy. One of its goals is to help us better understand how the unconscious works in our lives so that we can gain insight into ourselves and create a more satisfying and whole life. Analysis helps us recognize elements in our unconscious that can lead to healing. Regular meetings, dreams and dream analysis, expressive arts, sand play, or journal writing help this process. Please note: When a psychotherapist uses the words Jungian Analyst or Certified Jungian Analyst to describe their professional expertise, they attest they have completed many years of particular and difficult post masters or doctoral training. Their training institute officially certifies them. Also, Jungian Analysts are required “to do their own work,” that is to purposely engage in many, many hours and sometimes years of their own psychotherapy during their training as Jung insisted. Jungian Analysts continue to take specific, ongoing training in their field, for example, at an institute like this one, www.junginstitut.ch/english/. The word Jungian is easily borrowed, such as when people presume the title “Jungian Psychotherapist” or “Jungian-Oriented Counselor.” Potential clients need to know ahead of time that these practitioners have not completed the training that Jungian Analysts have undergone. These therapists cannot do analytical work. A therapist with one of these titles may have interest in Jung, but that does not indicate expertise nor fully understanding how Jungian Analysis or therapy works. The training that I and other Jungian Analysts have taken allows us to offer a unique analytical encounter, to meet the Analyst’s ethical requirements, and to use this professional designation in our title. Other practitioners who borrow these kinds of titles or words violate the standards of their State of Oregon licensing board, such as the LPC Board.